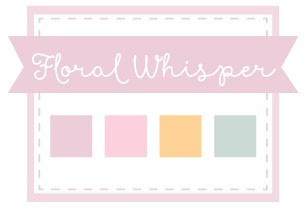 Lily's Ink Pad: Let's Celebrate Spring Birthdays! Here's what I created trying to use those colors. It turns out that the apricot color was hard to replicate, so I went with gold. 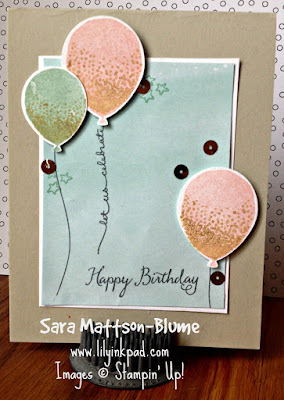 I used the Balloon Celebrations Photopolymer Bundle that includes the Balloon Punch for this card. For the balloon shading, I used the Wink of Stella brush in gold. I just painted it on the stamp and stamped. TIP: use less than you think. 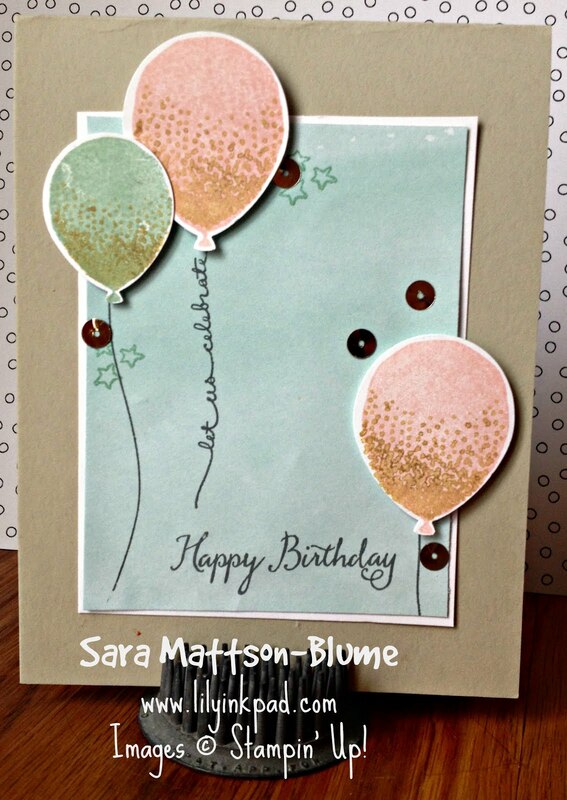 The sky background is actually a 4 x 3 piece of the Sale-a-bration only Perfectly Artistic Designer Series Paper. The watercolor look really makes the card pretty. When I saw this stamp set at the OnStage Stampin' Up! Event as a preview for demonstrators I fell in love. I'll definitely be making more with it!